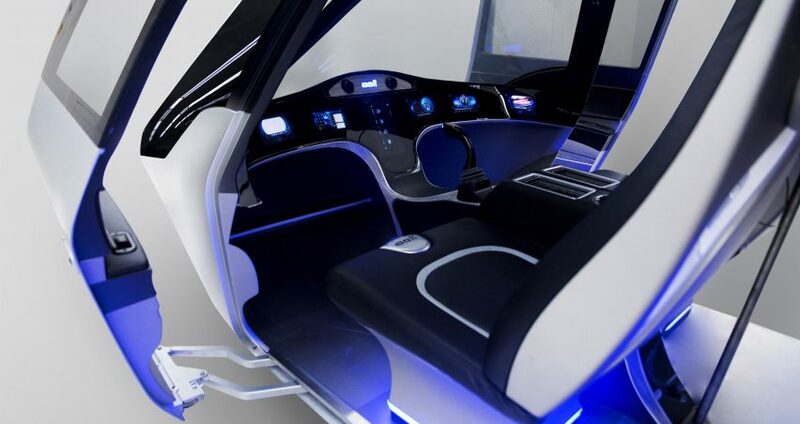 Aircraft manufacturer Bell Helicopter has revealed the cabin for an electric, self-piloting air taxi at the Consumer Electronics Show, designed for Uber's scheduled 2020 aircraft taxi service. 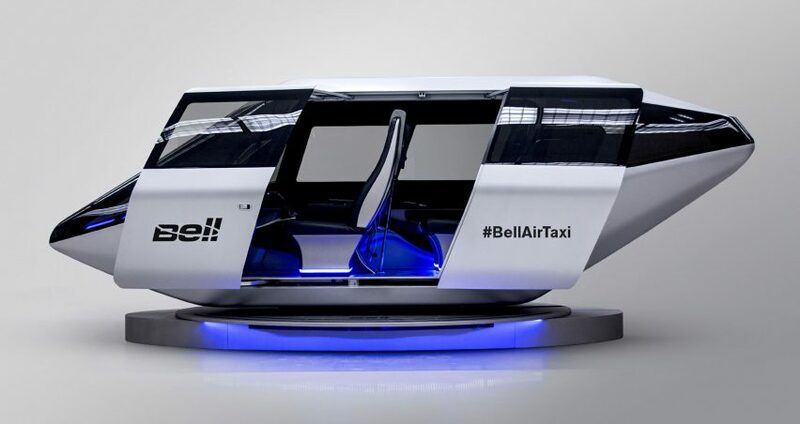 Bell unveiled the concept for the cabin this week, following Uber's announcement that it will partner with NASA to develop a flying taxi service in Los Angeles in two years time. But the propulsion system remains a secret for now. Able to accommodate up to four passengers, the electric, autonomous vehicle will be available on-demand, offering vertical takeoff and landing and is a cross between a traditional helicopter, a light aircraft and a passenger-carrying drone. 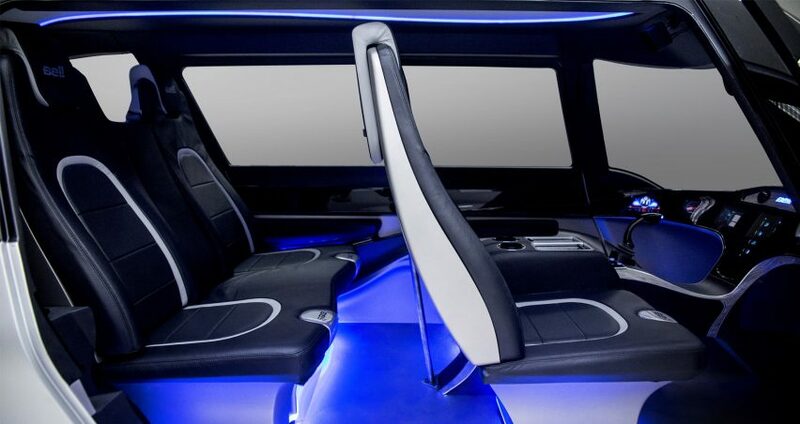 It boasts a host of connectivity technologies, including wifi, artificial intelligence, video calling, and wireless charging. Texas-based Bell claims that its new design will shorten commuter's travel time, while also allowing them to better utilise their airtime, and enjoy their journey more. "Bell has been moving people over urban obstacles for decades with traditional rotorcraft," said the company. "Now we're expanding the scope of air travel and aviation technology to advance life's conveniences." 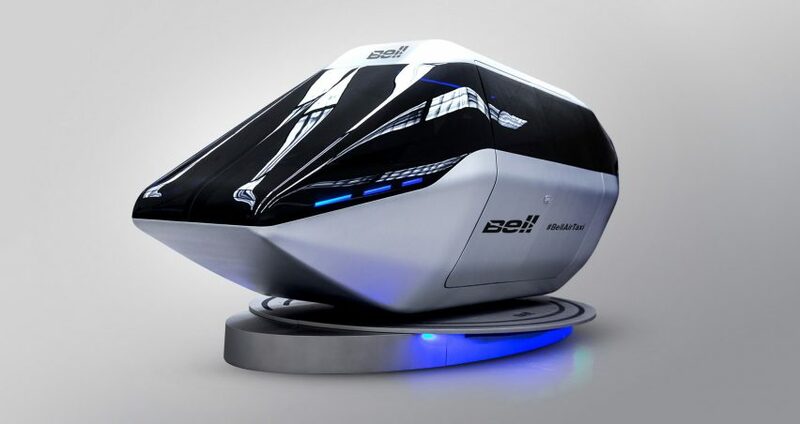 "This unique interaction with Bell's future air taxi concept will demonstrate how you can stay connected to every aspect of your life – from takeoff to landing – all while saving your most precious resource: time," it added. Only the cabin was debuted at CES this week, however the company reportedly plans to reveal the propulsion system – which could involve rotors, fans, wings or a combination of all three – at a later date. It is keeping its cards close to its chest to "keep competition on their heels," Bell director of innovation Scott Drennen told The Verge. 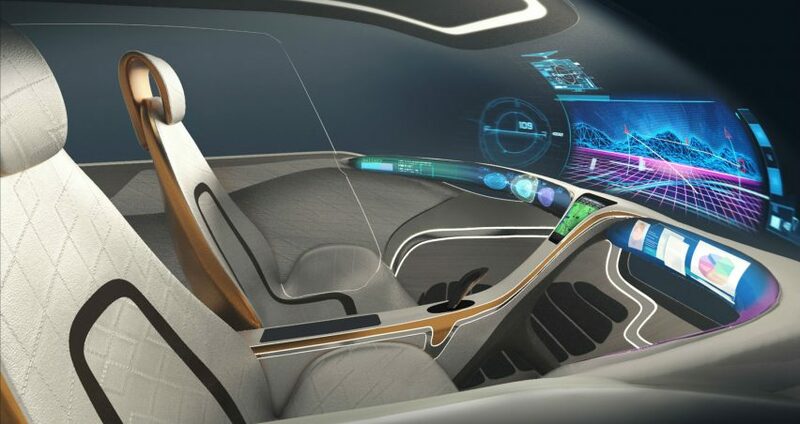 Although no details about how the aircraft will work have been revealed, Fast Company reported that there will be a gas turbine inside the vehicle to power an electric generator. Bell plans to switch to battery power in future, when battery technology has advanced enough to allow it to remove fuel tanks. CES is taking place in Las Vegas until 12 January 2018, and has also seen the launch of a self-driving SUV boasting facial recognition and gesture controls by Byton, and Nissan's latest technology that allows vehicles to read the brain activity of drivers. Natashah Hitti, dezeen, 11 January 2018.